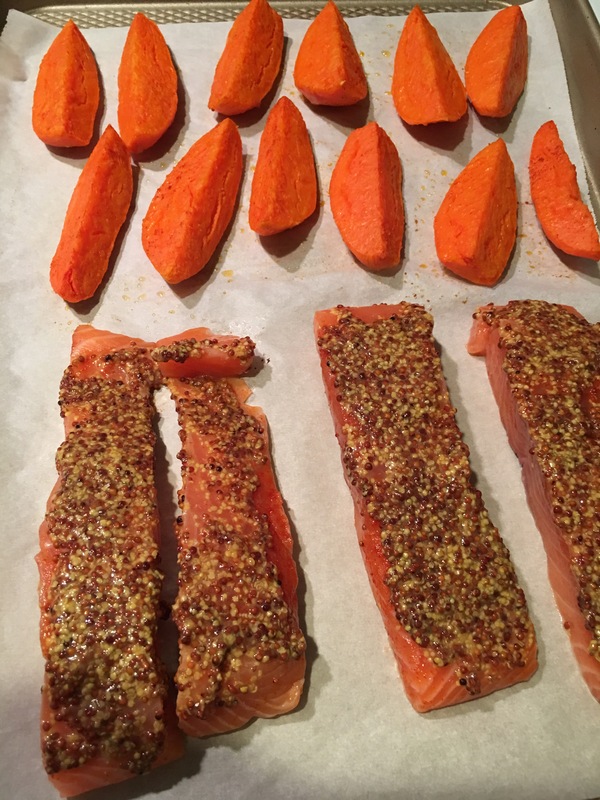 Salmon with sweet potato wedges – Hurried Home Chef! 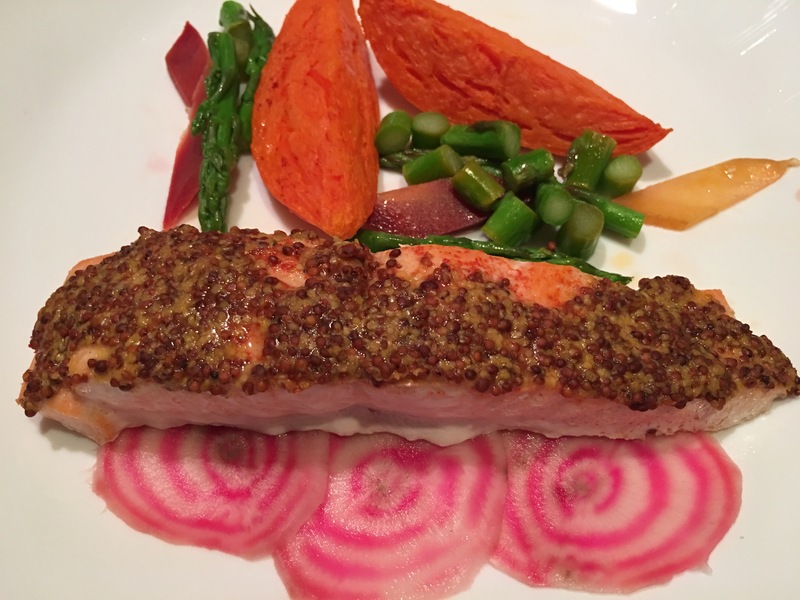 This is a week night meal that is quick but can be a fancy Sunday dinner also. 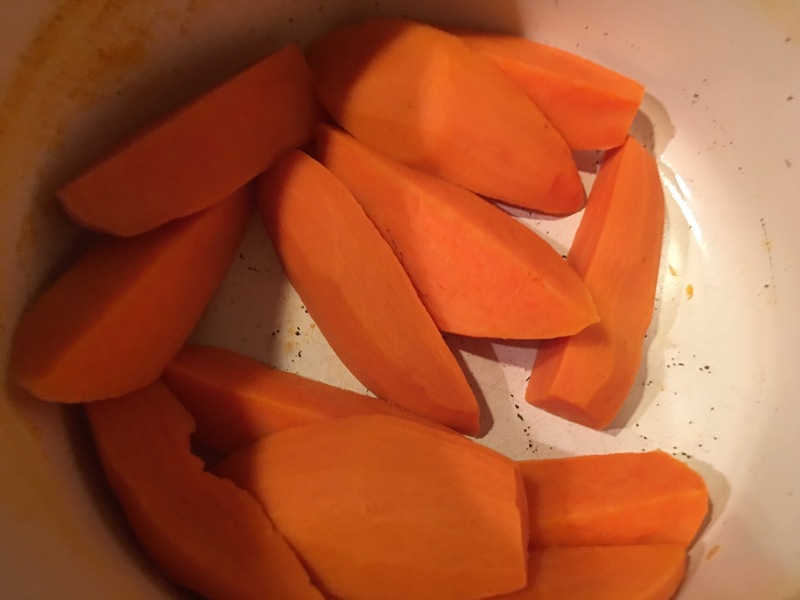 Start by peeling the sweet potatoes and cut into wedges. 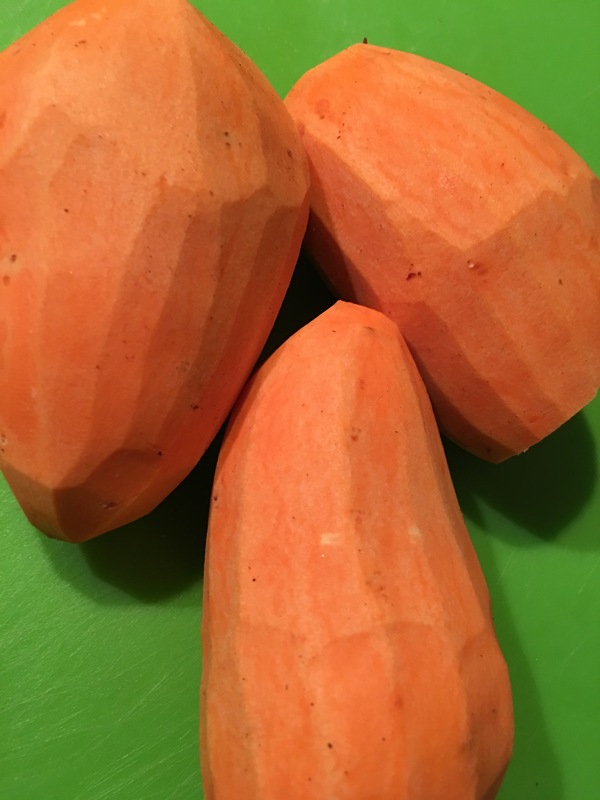 You can also use regular potatoes here for your picky eaters. I boil them first because they take forever to bake in the oven. Cover with water, just enough to cover, this way it will boil faster. Tip: if you want to boil eggs for tomorrow’s breakfast, stick them in here at the same time! Once that’s going, wash the salmon. I use lemon juice and then rinse. Pat dry. 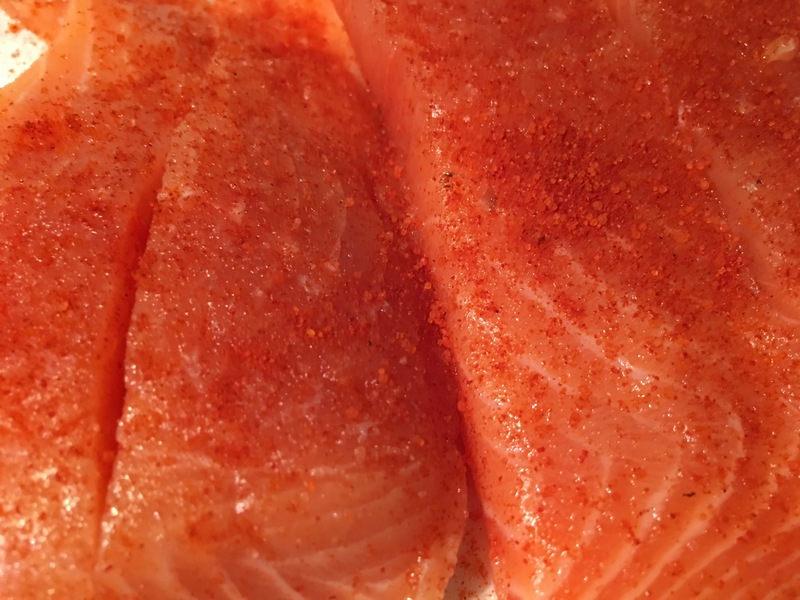 Season, here I used salt and ground hot pepper. Then I top the entire thing with whole grain mustard. Even if you don’t like the taste of mustard, try it, the taste changes when it’s baked. Put both on a sheet pan, I always line with parchment because I hate scrubbing pans. 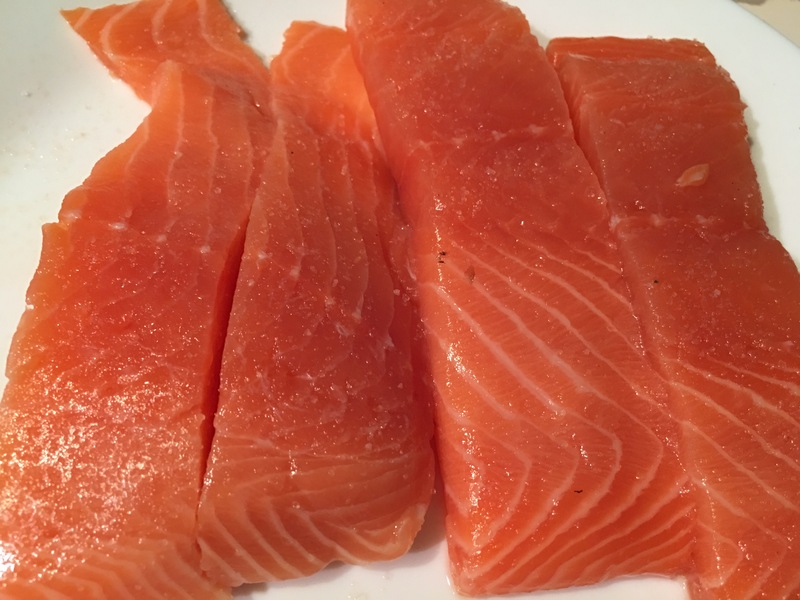 If you cut the salmon first like this , it will cook in about 20 minutes. If you leave it in a large steak it will take closer to 30 or more. Fancy it up if you want and serve! I used sugar beets I found at the farmers market. I just cut them and stuck them in the boiling water with the potatoes and eggs. Once you have water boiling, get the most out of it.